re: Graphics Card: Target sighted! Thanks for the info 2060 will be going into my new gaming rig. Cool! Glad my scribblings were of assistance! So what are the other components you are planning to build into your rig? (CPU, memory, HDD and/or SSD, etc.)? It’ll be cool to see what your results show, Specs. Keep us informed, Major. I'm getting the 2070 in my new laptop. Excited to try ARK and Anthem on it! A little concerned though as I've heard the newer graphics cards have a negative effect on LOTRO. How so?? If that's true, it'd have to be some sort of compatibility issue. I'm sure SSG would figure it out soon. The RTX 2060 will work out nicely for anything you play at 1440. It might bottle neck with your MOBO/CPU combo but it’s a good start. Don’t forget to upgrade to 16 GB of RAM. 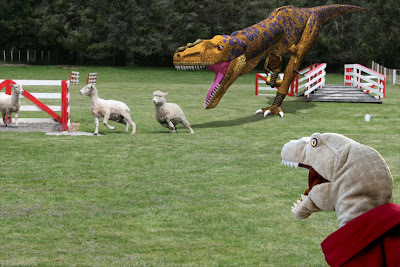 ARK eats RAM meat for breakfast. Yeah, a plan is in the works for a motherboard upgrade. My current mobo is a mini-ATX board with only two RAM slots, and those can only handle 4Gb sticks at that. I'm planning to buy Jao's old mobo and DDR-3 sticks in early March, so that'll enable me to get up to 16Gb. Then I should be good to go in late April or early May for the GPU. After that, I'll see how this layout performs. If I see bottlenecks, I might look at an upgrade to a Ryzen CPU/mobo/DDR-4 combo sometime in the fall. I'm also hoping it'll run Star Citizen decently. As Major Hochstetler used to say in "Hogan's Heroes" -- "Vee zhall see." ANYway, I think I've spotted an acquisition target for a few months down the road, once I get my cash flow fully stabilized with my new job: the GeForce RTX 2060! The only game where it dipped below that hallowed 60fps at 1080p was, you guessed it, Final Fantasy XV. Here, you’re looking at an average of around 55fps, with the occasional low of 40fps, but that’s with everything whacked up to eleven, including all of Nvidia’s fancy pants lighting effects. Disable VXAO and you’ll be back up at a full 60fps+ in no time at all. Where the RTX 2060 really comes into its own is gaming at 2560×1440. Here, the RTX 2060 trounces its cheaper competition and roundly smashes its more expensive rivals, producing near flawless 60fps frame rates on maximum or so-very-near-Ultra-it-might-as-well-be settings pretty much across the board. Basically, the performance of the RTX-2060 makes it a rival or effective replacement for the still-more-expensive 1070 and 1070Ti. This new card outperforms both -- and it is the entry point for the new feature, real-time ray tracing (RTS) and a concept called "Deep Learning Super Sampling" (DLSS). Taken together, these features make for a really intriguing combo. Take Final Fantasy XV, which stuttered along at 34-39fps on Average at 4K with all of Nvidia’s extra effects turned off, but whizzed up to a much smoother 43-45fps when I turned on DLSS in its anti-aliasing menu. That’s something the GTX 1070Ti really can’t compete with. The roster of games that support RTS and DLSS is still in its infancy -- but great news for me is that one of those early adopters is ARK: Survival Evolved! So, the current price point for the RTX-2060 looks like $349.00. At that price, it's my target for a future acquisition. So, does it look good? I don't know yet, but here's a hype video from nVidia that purports to show RTS in a real-time render, using the Unreal 4 engine. According to the write-up under the post, this clip was powered by a single NVIDIA Quadro RTX 6000 (a pro-grade card that currently markets for a cool six thousand bucks or so!) and shows off cinematic-quality rendering in real time. So, the kind of real-time rendering power we see in this clip is still a ways off for consumer-level cards, but still, interesting.